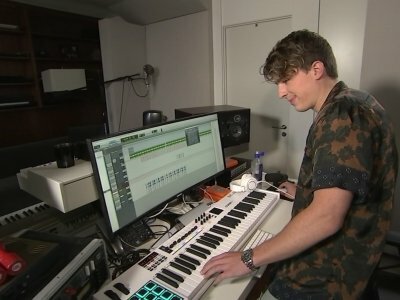 BEVERLY HILLS, Calif. (AP) — Charlie Puth is done playing by the rules. "I've wanted to make music like this for a very, very long time, but I almost wasn't, dare I say, allowed?" Puth said of his recently released sophomore album, "Voicenotes." "No one wanted to hear too much jazz in pop music." His response: "Let me prove to you that it's possible." In May 23 review of Shawn Mendes' self-titled album, The Associated Press reported erroneously that Ryan Tedder had a duet with Mendes. He co-wrote and played piano on a different song. 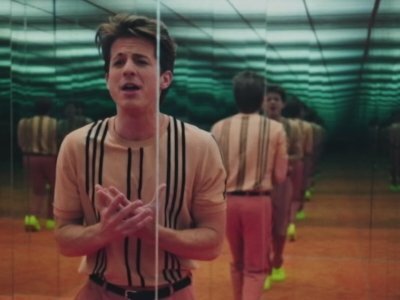 The delay in the release of Charlie Puth's sophomore album has been maddening. He already had a hit with one of the songs, "Attention," last summer. Another, "How Long," came out this winter. Now the rest of it is finally out and ... well, now we'd like to apologize for being impatient. 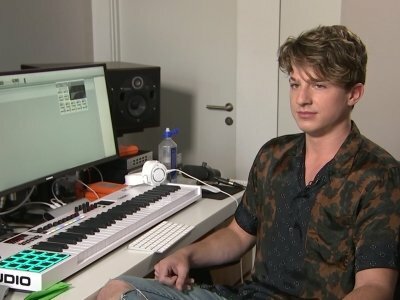 Charlie Puth has been forced to delay his second studio album. The 'See You Again' hitmaker is producing his own record - the follow-up to 2016's 'Nine Track Mind' - this time and wants to make sure it's "perfect" before unleashing it to his fans. The 26-year-old pop star recently dropped a new song from the record featuring Boyz II Men, titled 'If You Leave Me Now', to make it up to his loyal following who will have to wait just a bit longer to receive the full record. 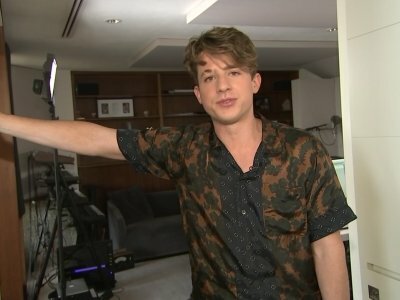 Charlie Puth wants to settle down. The 'See You Again' hitmaker is looking for love and thinks it would be "so nice" to find someone. He said: "I want to be in love. It would be so nice on this tour if I just had a cool girl who could do her own thing but also would be there for me." And the 25-year-old singer has dated girls who are famous and those who are not and is just looking for someone who "cares about his heart". Katy Perry says being single is helping her career. The 32-year-old singer - who was married to comedian Russell Brand from 2010 until 2012 and has also dated the likes of John Mayer and Orlando Bloom - believes being unattached has allowed her to balance her world tour with starring on 'American Idol'. Asked about how she balances her jam-packed working schedule, Katy explained: "I'm a bit younger in heart! I'm a bit more mature ... single! Luke Bryan offered American Idol job? Luke Bryan has reportedly been offered a seat on the 'American Idol' judging panel. The 41-year-old country singer is thought to be joining Katy Perry in the ABC revival of the long-running Fox talent competition - which came to an end on the network in 2016 - after he was previously in the running alongside names such as Lionel Richie and Charlie Puth. Shawn Mendes settles his nerves before a show by boxing. The 'Treat You Better' hitmaker likes to relax before his gigs by hitting a portable punching bag, according to his pal Charlie Puth, who recently joined Shawn on the North American leg of his 'Illuminate' world tour. Charlie told 103.7 KissFM: "He has a punching bag that he sets up before each show, just to relieve some stress. So now I have to get a big thing like that." Famed singer and Berklee alum Charlie Puth held an intimate performance in town yesterday and he had plenty to share about his good ol’ college days in Boston. 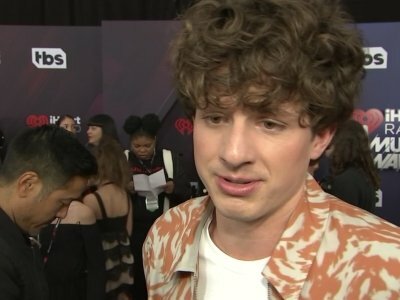 As part of 103.3 AMP Radio’s On Location With Charlie Puth, the talented musician wooed the predominantly preteen crowd with acoustic renditions of his hits “We Don’t Talk Anymore” — sans Selena Gomez — “One Call Away” and “Attention” at the Hard Rock Cafe. Charlie Puth and Lionel Richie are being eyed for 'American Idol'. The ABC revival of the long-running Fox talent competition - which came to an end on the network in 2016 - might be close to rounding out its judging panel, as sources have reportedly confirmed to Variety magazine that 'We Don't Talk Anymore' singer Charlie and 68-year-old musical icon Lionel are in "advanced talks" to join the show. If the pair do come on board, they will be joining Katy Perry as the only confirmed judge so far. For the past five years, PSY's ridiculous " Gangnam Style " video has been the most-watched video on YouTube. But now, it's been dethroned. Charlie Puth has recorded a song for Liam Payne's solo album. The 'Attention' hitmaker has revealed he and the One Direction heartthrob have been in the studio together and that when they aren't together, the 23-year-old hunk has a habit of video calling him when he's driving. The 25-year-old singer spilled to the Daily Star newspaper: "He has a bad habit of FaceTiming me when I drive." Bella Thorne says there are "no rules" when it comes to dating in Hollywood. The 'Famous In Love' star - who has been romantically linked to Tyler Posey and Charlie Puth in the past - "can't figure" the dating world out herself. She told Entertainment Tonight: "I think there are no rules. But I literally have no idea. I can't figure it out myself." Meanwhile, the 19-year-old actress previously revealed she would like to date a girl next. 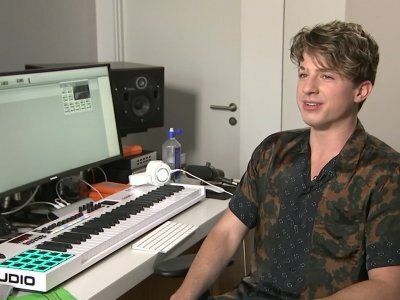 Charlie Puth is canceling the remainder of his tour due to illness. The singer said on Twitter Sunday that he has been "extremely sick" during the tour and hasn't taken the time he needs to recover. He says "resting and taking time off the road" is the only way he can get better and resume performing.